Thanks to you, 100% of children who stay at Riley Hospital can receive the comforting services of Child Life Specialists. 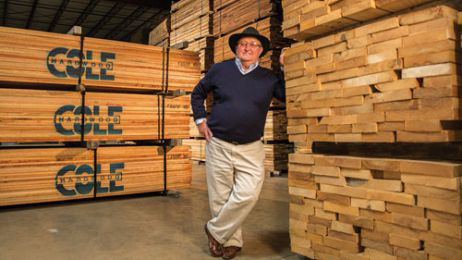 When you walk past the lumber warehouses and into the office at Cole Hardwood in Logansport, Ind., don’t be surprised if owner Milt Cole takes just moments to tell you he loves you. Why I Give: John Elliott and The Kroger Co.
A boy inspires his grandparents to make a generous gift to Riley. Businessman explains inspiration behind his gifts to Riley Hospital.